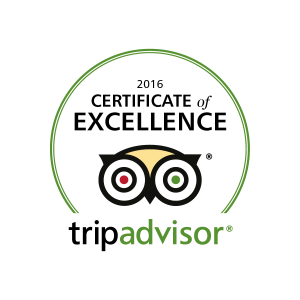 Experience Gift Vouchers Available to Buy Online! Fantastic Family Activities - Discounts Available Online! Experience The Tranquility of The Great Glen Canoe Trail! Choose High Adrenaline or Scenic Adventure Experiences! Buy Someone An Adventure This Year! - Activity Gift Vouchers - Buy Online Direct Here! Outdoor Activities in Scotland With Active Highs! 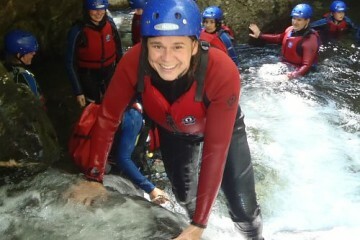 An awesome adventure of scrambling up and down waterfalls, jumping into pools, swimming and sliding! A fantastic family adventure or fun with friends! Minimum age 8 plus. Experience canyonying in Scotland. jump from cliffs, slide down natural flumes, swim through pools & abseil over waterfalls, a full on adrenaline filled adventure! Experience the river from our inflatable white water kayaks! Our experienced river guides will teach you the skills you need to navigate the class 2 rapids of a Highland River. Family Discounts available. 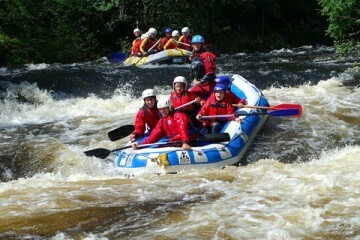 Experience white water rafting in the Highlands of Scotland on the grade 3 and 4 river Garry. Guaranteed weekly dam releases all summer with exhilarating white water. 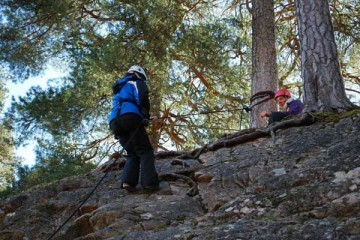 Learn the basics of rock climbing & abseiling & enjoy a great fun half day activity ! 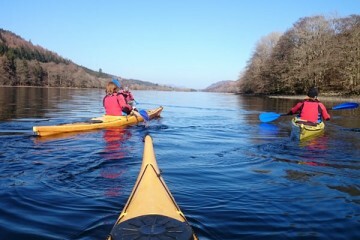 Enjoy a half day guided kayaking trip on The Caledonian Canal and Loch Oich. Explore and experience some of the Great Glen Canoe Trail and history of this fabulous waterway. Family discounts available. 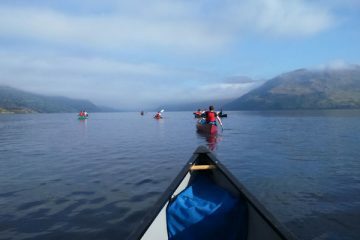 Immerse yourself in the scenery and tranquility of the Great Glen on a Half Day Canoe Trip. Learn new skills and visit the sites on Loch Oich and Caledonian Canal. Family discounts available. Why Choose an Experience with Active Highs? Active Highs offers outdoor activities in Scotland near Fort William and Fort Augustus and are based in the heart of the Great Glen on the shores of Loch Oich. 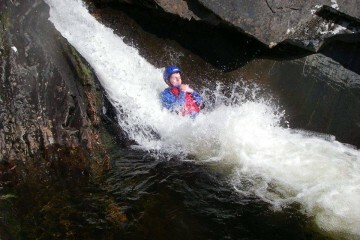 We have a great range of outdoor activities available from adrenaline pumping adventures to more relaxing scenic tours. We offer fun outdoor activities for families, couples, individuals and all groups. We have a team of well qualified and experienced instructors that love what they do and pride themselves in providing you with a fun, safe and memorable outdoor activity experience! 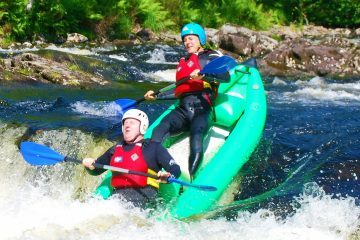 Our outdoor activities in scotland include white water rafting trips, scenic river rafting safari trips, white water funyakking, canyoning, gorge walking, canoe trips, kayak trips, rock climbing and abseiling, canoe hire, kayak hire, bespoke outdoor instruction, outdoor events and event support. Active Highs offer a Great range of fun and adventurous outdoor activities and activity experiences that are family friendly and are also suitable for all kinds of groups, couples and individuals. We offer fantastic stag and hen weekend activities that are some of the best outdoor activities in Scotland due to being based in Lochaber, “The Outdoor Capital of the UK”. 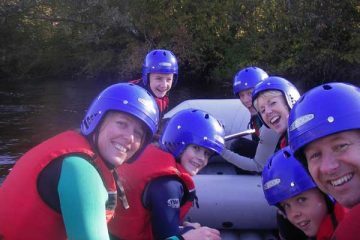 The Best Guaranteed Rafting in the UK! Active Highs are able to offer some of the best white water rafting in Scotland and the U.K. due to the guaranteed weekly water releases from the dam at the River Garry from late March until the end of October. 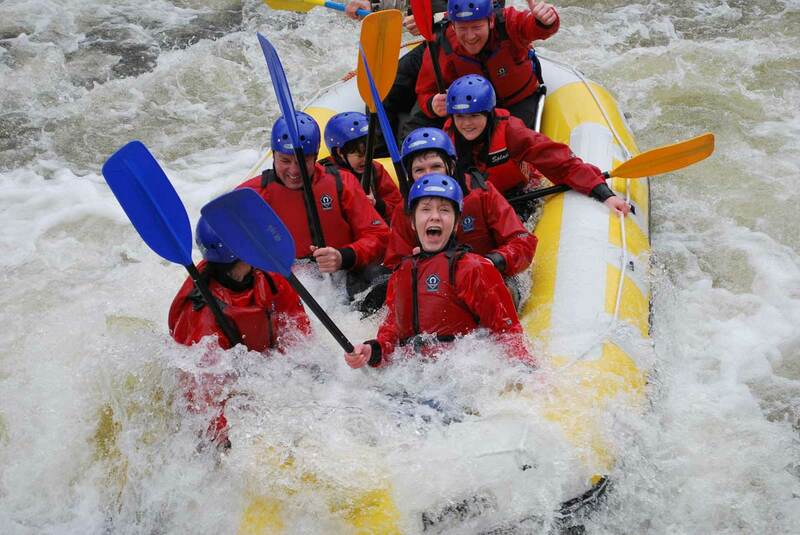 The River Garry offers a fun and exhilarating grade 3 & 4 white water rafting trip with big and bouncy rapids rapids. Dam releases for 2018 are on most Thursday’s and some Saturday releases during the spring and summer months. All equipment and professional river guides included with every trip!